Patricia(VB) Review｜MANGA.CLUB｜Read Free Official Manga Online! this book is great it makes you want to read more and i think the plot is interesting. Makes me think of Wizard of Oz if it were a horror. The art is simple but fun. Very creative plot. Good art style. Very spooky. I hope the main character can make it out alive, she doesn't deserve this! l Ihighly recommend to anyone interested in Gore and horror. This is a wonderfully gorey manga that really hypes up the mystery. The pacing is well done as the mangaka gradually depicts the intensity of the main character's situation. Very intense and captivating for a first chapter! Just enough is shown without giving too much away. A lot of questions are raised and it makes me want to read more to find out what kind of world our heroine has been taken to. I'm not too keen on the simplistic/cartoony art-style, but I can see it growing on me after a few more chapters. I would recommend this to anyone who likes mystery/gore. Reminds me a lot of Soul Eater. Still, a cool concept. Seems like it will be an interesting horror series. Not something I always go for but on occasion I'll read something like this if it catches my interest well enough. This is like a more intense version of Alice In Wonderland the story has so many question that need to be answered and has me hooked to find out more. It seems like it's going to be interesting, lots of questions to be answered throughout the story, I'm definitely intrigued. I look forward to seeing how the writer unfolds the story for us. This is a really interesting Manga! I love horror and gore manga. I read a lot of good and bad Webtoon a lot, so I can understand about the short chapter and feel rushed on each chapter but this is fun to read. Enjoying this manga. I'm curious to see where the story goes. How did she get to such a strange, nightmarish place? Who has she met there? Looking forward to the next chapter. This manga has a very interesting plot. Some parts felt a little slow but overall good story telling. It’s kind of creepy but the main character draws you into the story. You keep wondering what’s going to happen to her. The art was very well drawn. This one is quite interesting. 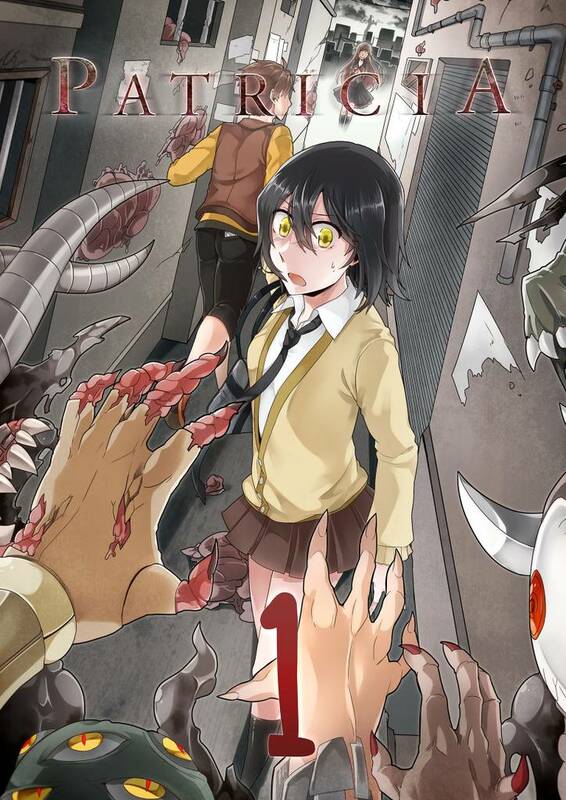 I've been reading a lot of Korean horror-style Webtoons, so this manga is a nice addition to all of that. I'm looking forward to reading more. Holy cow, this is very interesting! Surely caught my eye!! Promising idea, although not the most original. Wish there was more build up to the events unfolding to help you get invested in the mystery and characters, but everything just seems rushed along. Starting off with a good hook of the friend being chased by a monster while there narration of the main character's message that was sent to her friend which starts the plot of the story by creating sequence into what the mc's purpose is so far. The art looks really nice, the monsters reminds me of something I've seen before. I wasn't to into the plot but. I thought this was okay. The art was far from my taste. I stayed for the story and thought there were some shaky parts. Somethings did not make sense. I am only judging off of this, so it is what it is. It's quite interesting, I'll wait for the next episode. Nice concept but it's pretty generic. By the title, i feel that it's gonna be a long way until she finds out what happened to Patricia. I'm still gonna read because i like apocalyptic stories.